Christmas is for me mostly a time to remember and focus upon the unfathomable miracle and mystery that God himself came in flesh, as a helpless baby named Jesus. He lived amongst us, ate and drank with us, worked, played and slept. And He came ultimately to die for us. Every year this one event in history seems even more amazing and even more relevant to me in this time. Coming second place at Christmas time, though still very special and very important is time with my family. I am blessed to have a very loving family who delight in spending time with me, and I with them also. Whilst last Christmas I may have gone to Church with my parents and seen old friends, then returned home to have Christmas lunch with my Nan and Pop, Uncle and Auntie and Mum and Dad, and I may have visited other relatives and friends – this year was different. 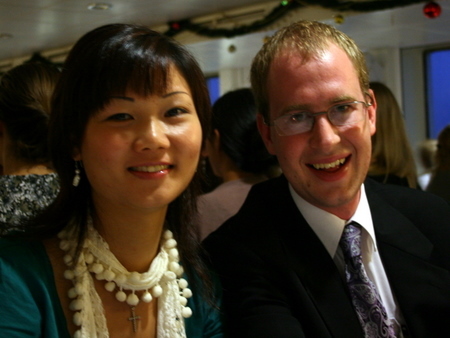 My Christmas story starts with me dressed to the nines, a suit and tie – I even ironed my shirt and trousers. Surrounded by other stunningly dressed ladies and gentlemen, I was ushered to my family table to sit with my ‘ship family’. These lovely people are my family away from home, brothers and sisters with whom I share birthdays and Christmas and meet once a week. After I was seated the director of the ship served me an entrée. 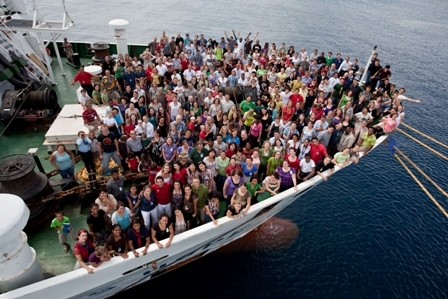 In fact the entire leadership team on Logos Hope was waiting on the rest of the crew. It reminded me of when Jesus washed the disciples’ feet. 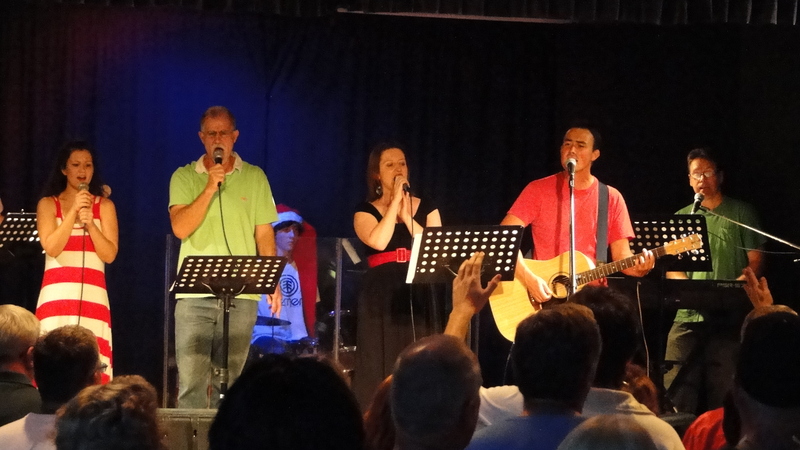 After Christmas Eve dinner we went to the Logos Lounge for a special carols service. Like often I am at home, I was on the Audio Visual team for the carols service. I was rather stressed but still satisfied in the end with the production. I think the crew really enjoyed it. After the service I received a phone call from my parents. 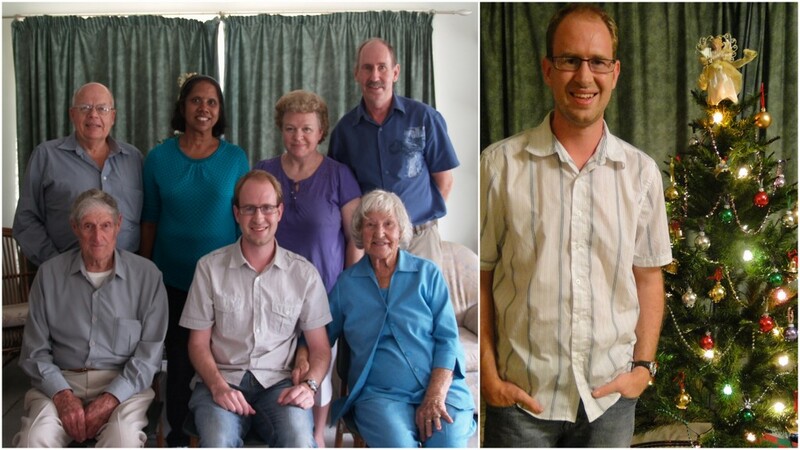 It was Christmas day in Australia and they were gathered for Christmas lunch. I said ‘Happy Christmas’ to all my beloved relatives and chatted for a little while. It was so good to connect with my family on such a special occasion. After the phone call I returned to the Logos Lounge where we randomly exchanged gifts by swapping many times. In the end I received a Hillsong CD ‘The I heart Revolution’ that I didn’t have yet. Awesome! Then off to bed ready for the next Day. On Christmas morning I received a great phone call from Terry Rochford wishing me happy Christmas. After that I went up to Christmas brunch in the dining room which was a delightful meal. Then it was time for the Christmas Church Service. 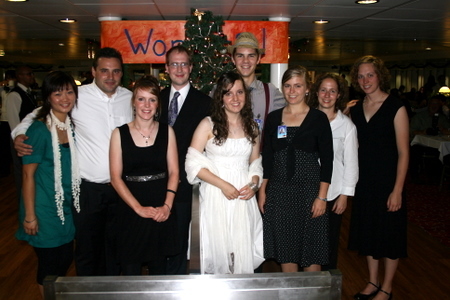 The star feature was a christmas play by the ship’s school. 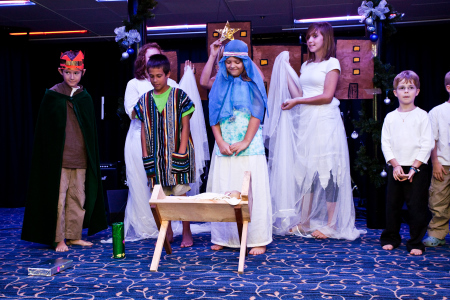 Kids of all ages participated in this epic production telling the true story of Christmas – Jesus coming to earth as a helpless baby to rescue us from sin and death. 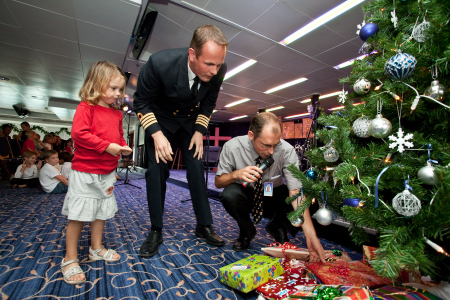 After this the director and the captain gave out gifts to all the children on board from beneath the Christmas tree. After church we all went to the bow to have a photo taken. And we ended the day with a Christmas Barbeque (just like Australia) up on the top deck. 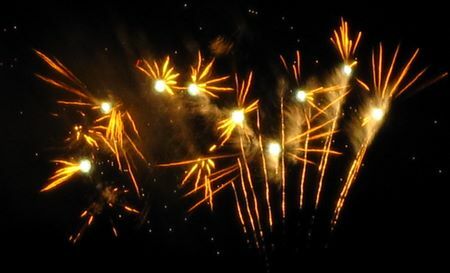 New years celebrations were also amazing with a special video with pictures from the year that passed, music and dancing and fireworks.